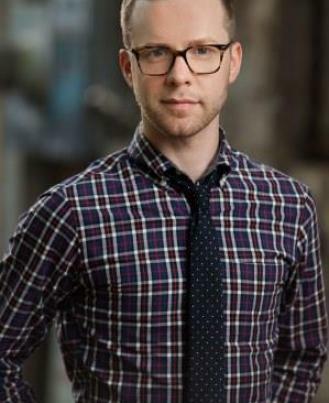 Clifton Guterman previously appeared in Wolves, The Judas Kiss, The Goat, Beautiful Thing and numerous play workshops and readings at the Express. He has performed locally at Alliance Theatre, Synchronicity Theatre, and Dad’s Garage as well as Off-Broadway and many notable regional theatres, including Berkeley Repertory Theatre, Arena Stage, San Jose Repertory Theatre, California Shakespeare Theater, North Shore Music Theatre, Barrington Stage, Weston Playhouse and the O’Neill Center. Clifton was named Broadway World Atlanta’s Best Actor (play) in 2013, is a former Suzi Bass Award nominee and was nominated for a Bay Area Critics Circle Award for his work as Smike in The Life and Adventures of Nicholas Nickelby at California Shakespeare. Clifton appears in several Atlanta-filmed movies, TV shows and commercials, including The Good Lie, Trouble with the Curve, The Internship, Scary Movie 5, The Little Death, “One Tree Hill,” “Hindsight," and "Being Mary Jane." Clifton holds performing arts degrees from UGA and SCAD. He was formerly Artistic Assistant at the Alliance for four seasons and currently is Executive Associate, Casting Director and an Artistic Associate with Theatrical Outfit. Clifton also teaches here at Express and is a proud member of Actors’ Equity Association.